Hello to all beautiful souls out there, Welcome to my personal space! My name is Renji and I am 29 years old of Indian origin. My home town is Kerala. At present, I live in Auckland, New Zealand with my hubby Anooj. I love pets, I am a dreamer, love and write poetry, My other hobbies include glass painting. I like to explore new places, make new friends, Love product photography and I am also a product stylist, a computer geek and a shopaholic! Well, all makeupholics are by default shopaholics too, isn’t it ? 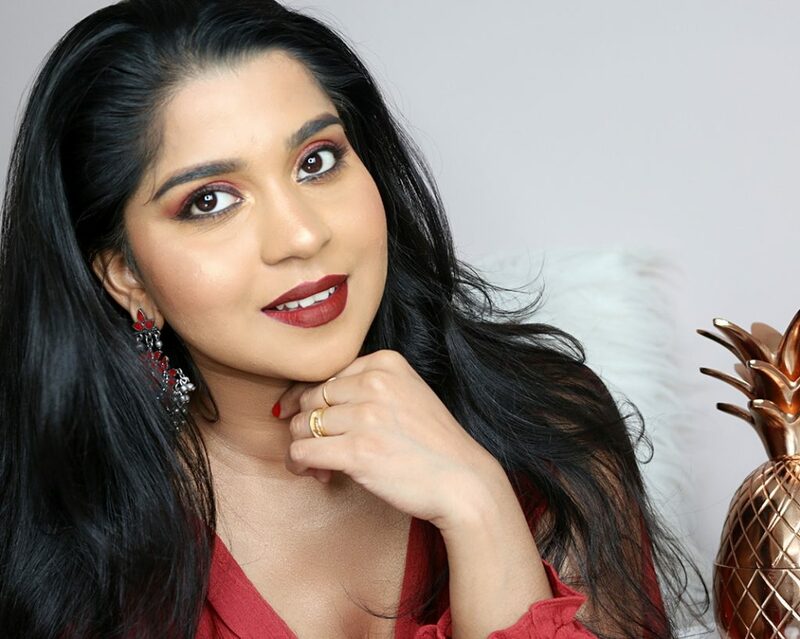 I was so passionate about makeup and beauty all through my life and I started my career in beauty by joining as a beauty editor for IMBB, One of the biggest makeup and beauty website in India. I started Makeupholic World on Feb 14, 2011 as a place to share my love with people with similar interests.I knew my blog would be the best place for that and that’s how I created this wonderful space called Makeupholic World. Today, I collaborate and work with a number of UK, US, India & other International brands. Makeupholic World has grown a lot through all these years. Have collaborated and continue to collaborate with over 150+ brands. If any product is sent by a brand, I mention it as ** PR sample at the end of the post. I have learnt a lot from the whole blogging community and hope to share all that I have learnt with my lovely readers. You can find everything from product reviews, hauls, favorites, wishlists & random outfit posts here on my blog. I have also started making a few YouTube videos recently. Second to my blog – my most active social media account is my Instagram. With over a 17k + Insta Family, I create content for various beauty and skincare brands. Professionally, I gathered so much domain & product knowledge in Health & Beauty category by working with one of the largest e-commerce company in the world, Amazon. Professionally, I am a trained AI QualityAnalyst Lead with around 6+ years of experience. Brand Owner and Founder of, Shesha Beauty aka Shesha Naturals. We make India’s best Extra Virgin Coconut Oil, Export it worldwide, Present in all leading e-commerce websites and a number of stores across PAN India. A proud Pixi Beauty Blogger Ambassador and also in the official bloggers list for some of the world’s best beauty brands.